Today will be short and sweet. Kamen Rider W has been pretty cool this year, but all good things eventually come to an end, and W‘s end is on the horizon. That means a new Rider will soon step up. But who? Is this the new Rider: "O's"? 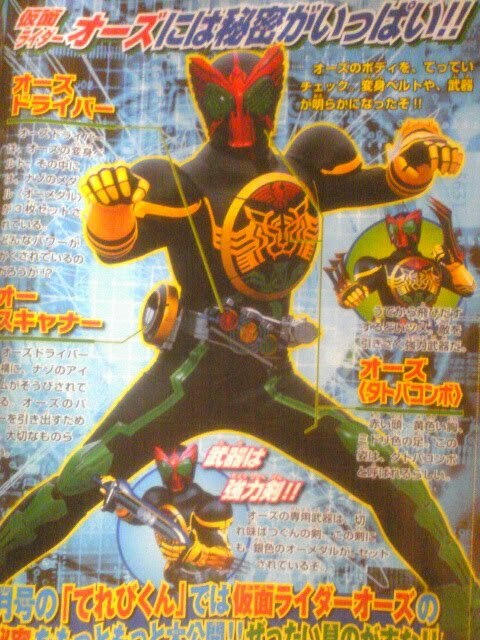 I speculate that this Rider will eventually have a crossover with Den-O. Wait, scratch that. Pretty sure fact isn’t speculation.